A fisherman returned to shore with a giant marlin that was bigger and heavier than he. On the way to the cleaning shed, he ran into a second fisherman who had a stringer with a dozen baby minnows. 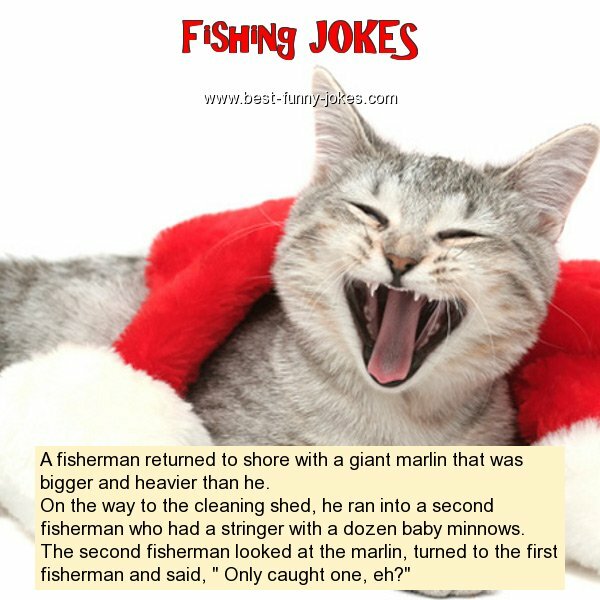 The second fisherman looked at the marlin, turned to the first fisherman and said, " Only caught one, eh?"